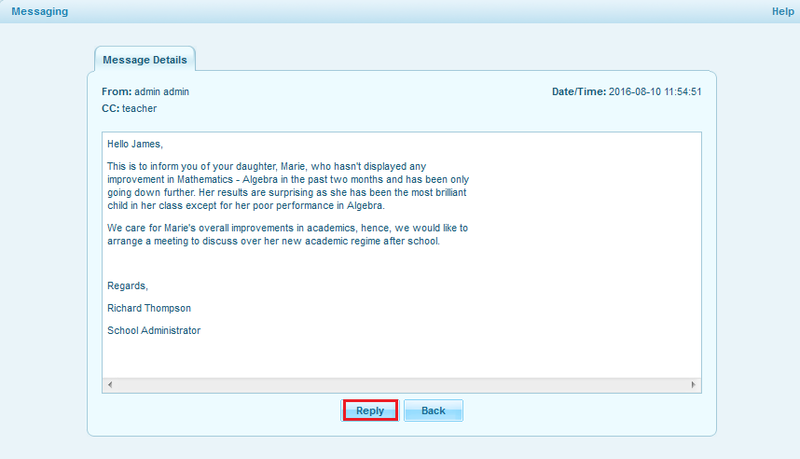 In opensis, parents can exchange messages with the admin, associated teachers and the associated students only. Inbox displays the messages that you have received from other users who have access to their portal. Go to Messaging >> Inbox and the list of messages received appears here.